Roll around case ready to hookup, turn on and show ready! 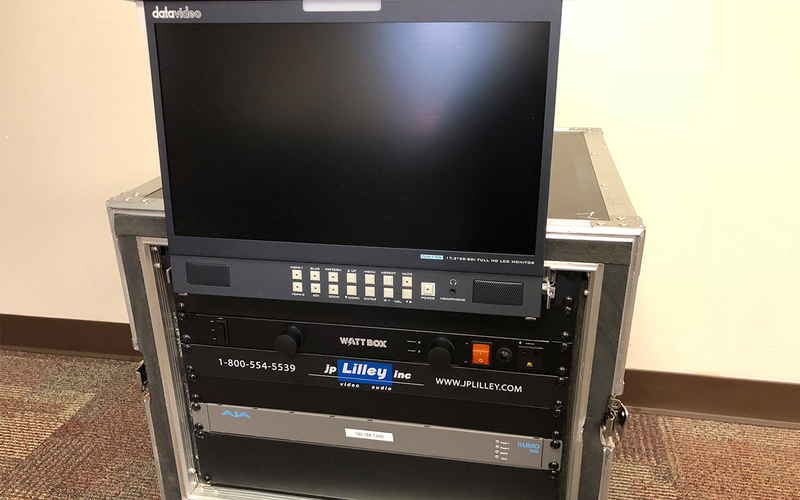 For medium sized facilities and mobile trucks, KUMO 1616 with 16x 3G-SDI inputs and 16x 3G-SDI outputs is just the right size for combining multiple cameras, monitors, editing systems, tape decks and file based recorders into a seamless workflow. 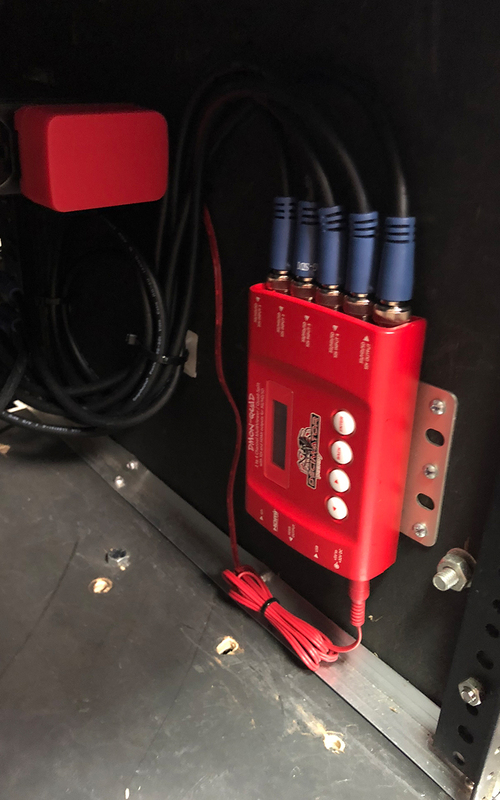 The super-compact 1RU format is just a few inches deep, making them a perfect fit for any broadcast, production, or postproduction environment, from mobile sports trucks and edit suites, through to corporate video installations or live theatrical A/V rigs. 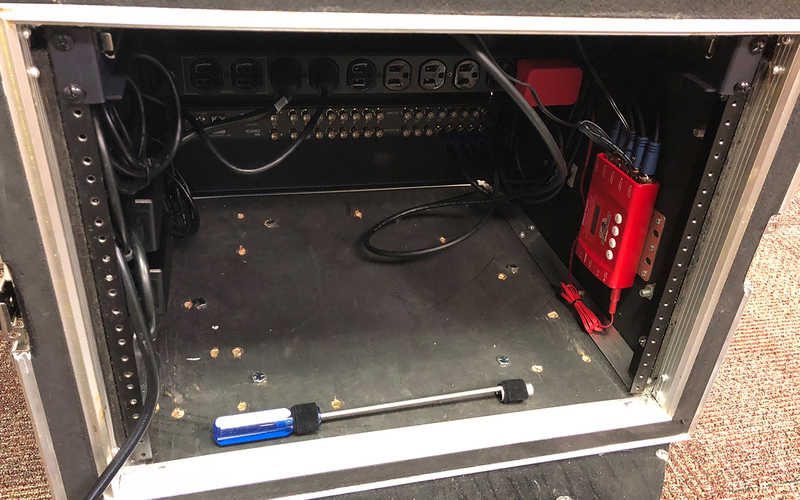 Outputs 12 through 15 from the AJA 1616 are wired to inputs 1 through 4 of the DMON-QUAD and the output is wired to input 16 of the AJA 1616 router.